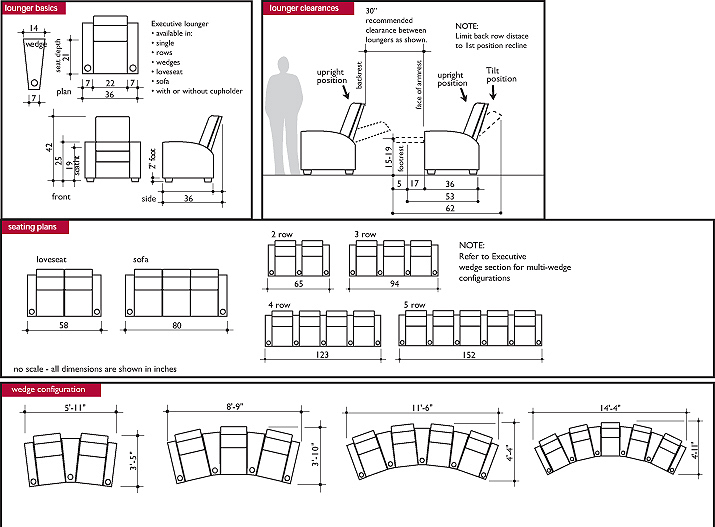 Big, Wide and Deep Theater Chairs For Our Customers Who Demand Comfort and Elegance. Modern Styling and Smooth Lines Give These Seats an Impressive, Beautiful Appearance. Available in supple Top Grain Eurosoft and Mammut Leathers, Nu Suede, and Super Suede. 100% Birch 1 inch Thick Kiln Dried Hardwood Frames. Independent Super Quiet Spring Suspension System. Okin German Motor with Lifetime Warranty. Steel Leggett & Platt Reclining Mechanism. Lifetime Warranty on Reclining Mechanism. 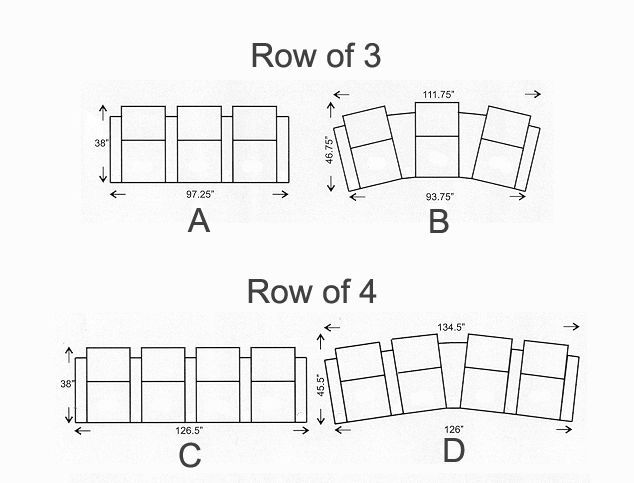 Select below Number of Seats per Row, Arm Style, Fabric and Color, Manual or Motorized, Cupholder Color, and Delivery. Need help ordering? Please call 1-800-494-4020. 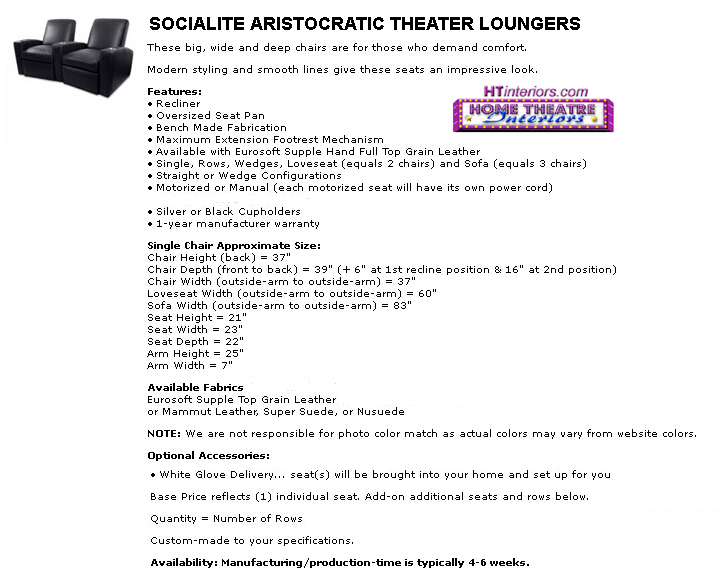 THE CELEBRITY VIP LOUNGER sets new standards in affordable Theater Lounger comfort and performance. The included wooden tilt-out cupholders are available with your choice of gorgeous stain finish. Our Motorized Celebrity Loungers offer total body position control and the highest level of luxury seating. The Celebrity Loungers are built for long-term durably and feature frames built from kiln dried hardwood. 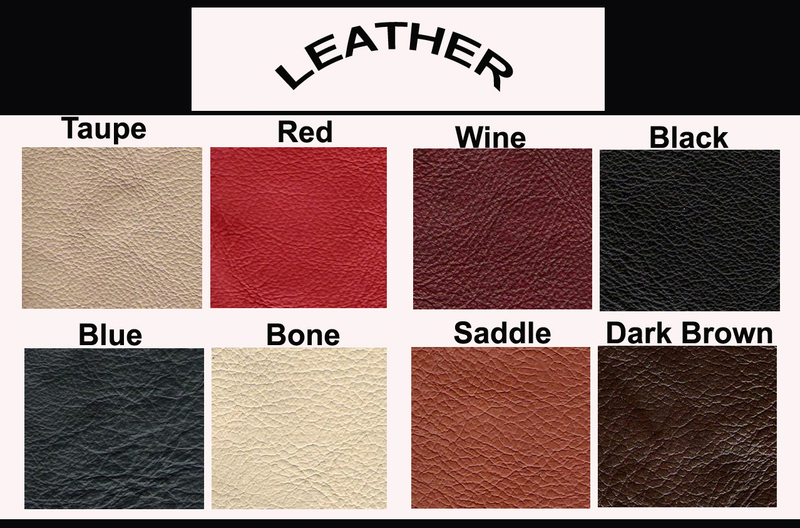 The 100% leather is very soft and supple and the workmanship is of the highest standards. The Celebrity Lounger is internally supported by metal coils, and long-lasting high resiliency foam, and high quality Leggett and Platt reclining mechanism motors. 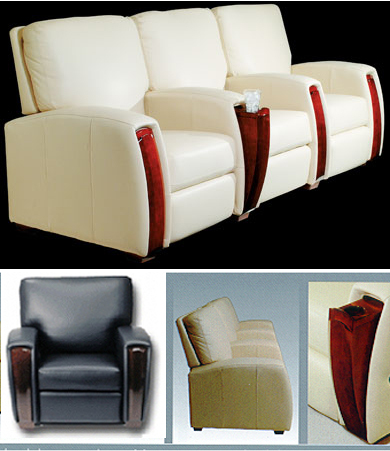 All of these features combine to result in some of the finest luxury seating and have gotten top reviews over the years. Home Theatre Magazine Rated BEST CHAIR. "A classy chair in its own right...the leather is smooth and luxurious...The lacquered wood arms add distinction to its look...The Celebrity`s wood panels TILT OUT and lock into place to become cup holders hidden from view when not needed. Our Victor!!! By Far The Best Comfort For Movie Viewing." Motor Driven Reclining System on Each Seat. 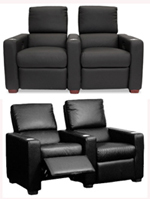 Available in Rows of THREE or FOUR Recliners with either Straight or Curved Arms. Each Straight Arm has a Tilt-Out Hidden Cupholder. 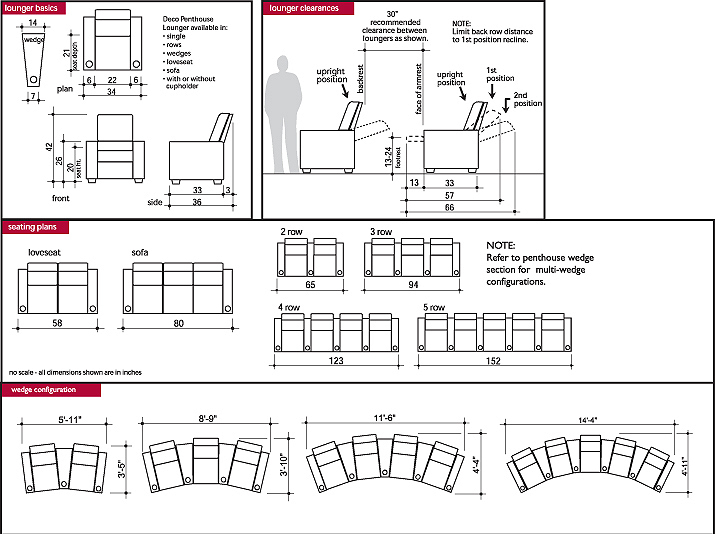 CLICK HERE to view FOUR available Seating Configurations. 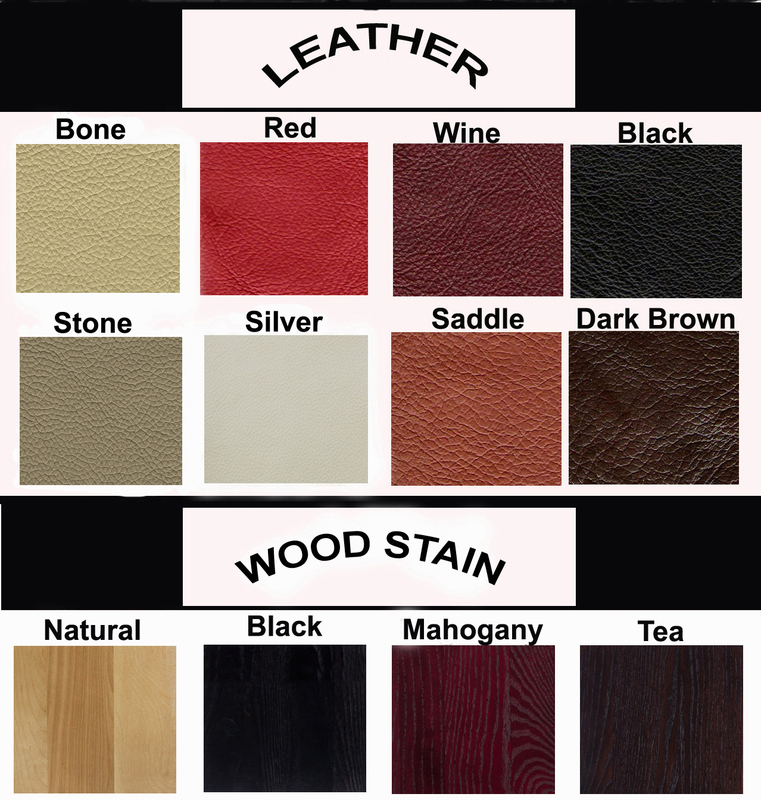 Select below the Configuration desired, Leather Color, and Wood Stain Color. Order online or Call 1-800-494-4020 for help ordering your Celebrity VIP Loungers. 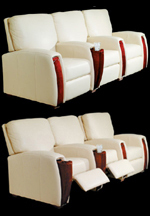 Comfortable 23 inch Wide Seat Cushion Theatre Loungers that Command Excellence. Available with or without studded nail heads. Available in supple Top Grain Eurosoft and Mammut Leathers, Suede. 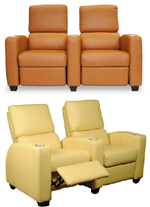 Manual or Optional Motorized Recliners. Select below Number of Seats per Row, Arm Style, Fabric and Color, Manual or Motorized, with or without Studded Nails, Cupholder Color, and Delivery. Need help with ordering? Please call 1-800-494-4020. 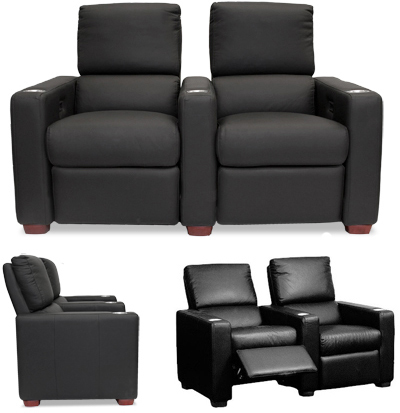 An extremely COMFORTABLE and LUXURIOUS VIP recliner for your Home Theatre. This is our top-of-the-line Theatre Seating. Available as Individual Chairs, Loveseats, Sofas, or Attached in Straight or Curved Rows. Each Straight or Wedged Arm has its own Drink Holder. The Individual Chair measures 34 in. wide, 42 in. tall , 66 in. profile fully reclined. Price shown is for an Individual Manual Seat. As low as $2000.00 per seat in rows of 3 or more seats. Please call 1-800-494-4020 to speak with a seating specialist for further information and to help placing your order for the Penthouse VIP Lounger Home Theatre Loungers. This Cinema Lounger is similar to the Penthouse Lounger described above, except with Deco Style, Gracefully Curved Arms to complement your Home Theatre decor. One of The Finest Home Theater Seating Available. 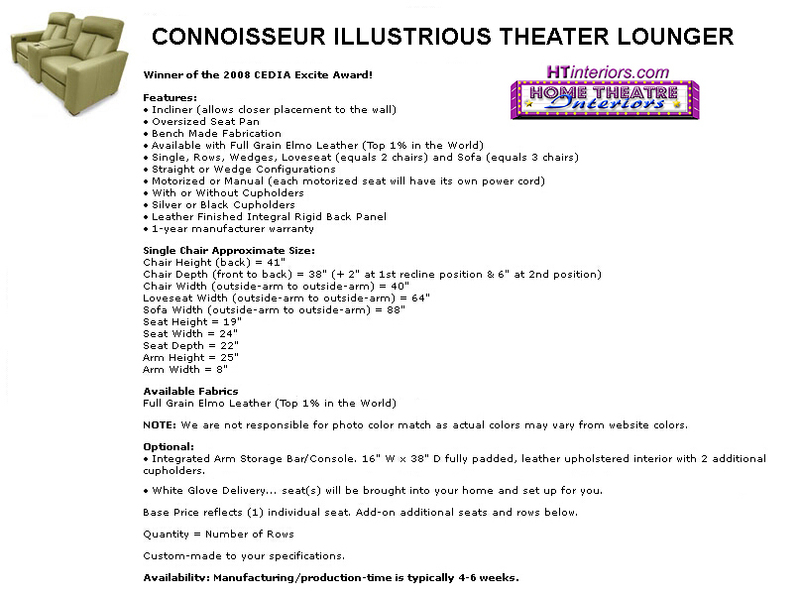 The Optional Integral Arm Storage Compartment is a great Functional Addition to these Elegant Theatre Loungers. Available in Full Grain Elmo Leather. 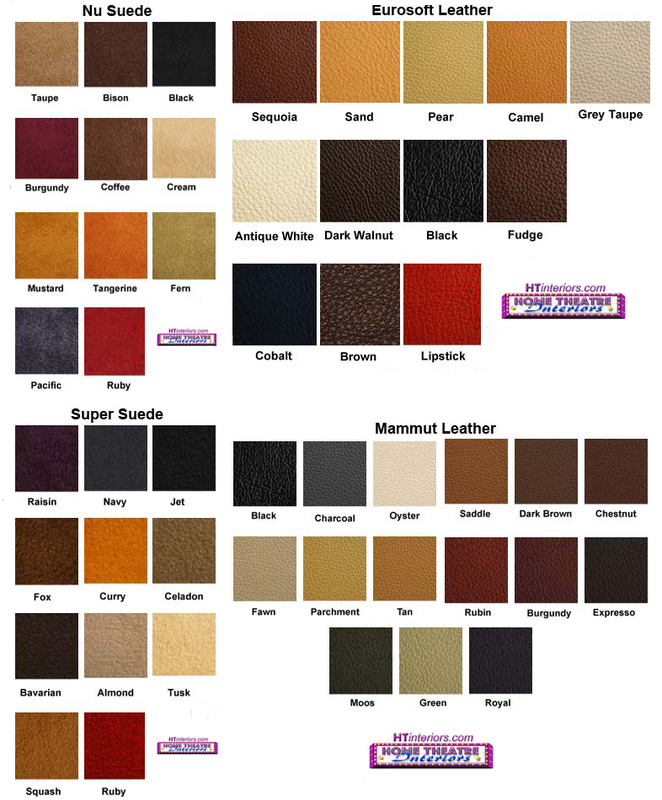 Available in your choice of 20 Full Grain Elmo Leather colors. Select below Number of Seats per Row, Arm Style, Leather Color, Manual or Motorized, Storage Compartment, and Delivery. Need help with your order, Please call 1-800-494-4020. This is another top-of-the-line Theatre Seat. Each Straight or Wedged Studded Arm has its own Drink Holder. The Individual Chair measures 39 in. wide, 42 in. tall , 62 in. profile fully reclined. As low as $2158.00 per seat in rows of 3 or more seats. Order online or Call 1-800-494-4020 to speak with a seating specialist to help placing your order for the Showtime VIP Home Theatre Loungers. 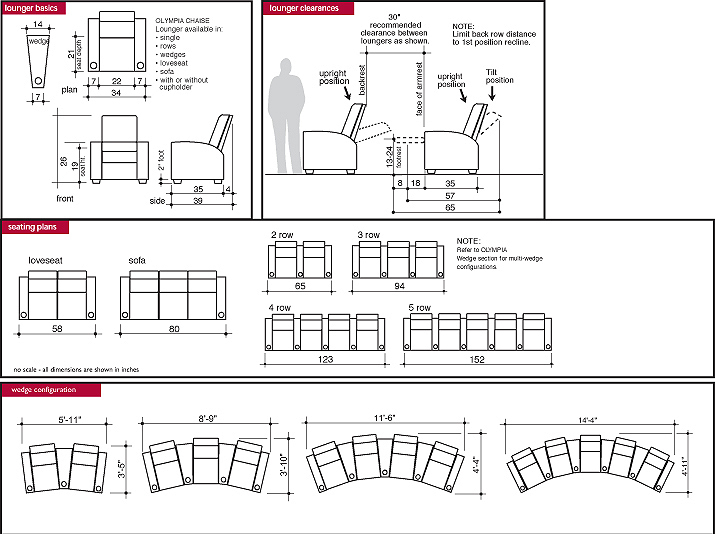 The Ultimate Design in Home Cinema Luxury Seating. Each recliner back is topped with a comfortable, vertically adjustable, tilting headrest. The Individual Chair measures 36 in. wide, 42 in. tall , 62 in. profile fully reclined. 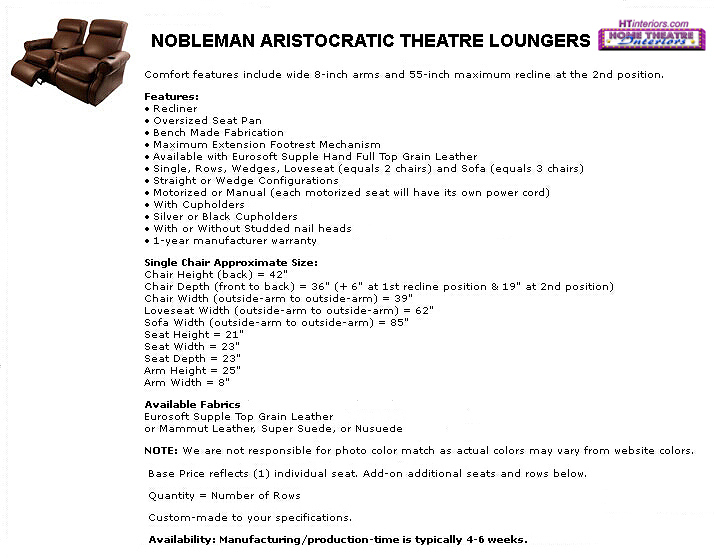 Please call 1-800-494-4020 to speak with a seating specialist for further information and to help placing your order for the Ambassador VIP Home Theatre Chaise Loungers. Order online or Call 1-800-494-4020 to speak with a seating specialist to help placing your order for the Executive VIP Home Theatre Chaise Loungers. The Individual Chair measures 36 in. wide, 43 in. tall , 65 in. profile fully reclined. 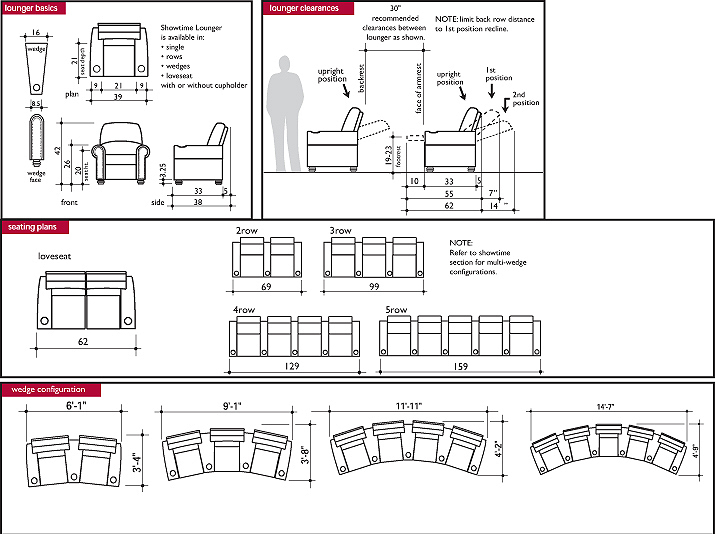 Please call 1-800-494-4020 to speak with a seating specialist for further information and to help placing your order for the Olympia VIP Chaise Home Theatre Loungers.